A love story that started as a friendship and continues as a blended family. The Love Story Colbie Calliat’s lyrics, “If you just realize what I just realized, then we’d be perfect for each other, and we’ll never find another,” capture the slow transition of friends who fall in love without realizing it right away. And for Brittany Ennis Watson and her husband Zac, this was how things progressed for them. Zac’s work at the time kept him on the road doing conveyor installations all around the country. Plus, Brittany has always carried a full load between her work as a surgical tech and raising her two children, Kaleigh, 6, and Hunter, 2. While they knew each other casually in high school—they both grew up in Amherst—they were reconnected a few years later in 2016 through mutual friends. Brittany laughs describing their first “date,” saying it was a fun time out with friends, though she learned later that Zac hadn’t thought of it as much more going into the night. “He paid for everything, so I thought it was a date,” she explains. Early miscommunications aside, they started talking regularly after that, paving the way for a strong, foundational friendship. Brittany says while the distance certainly made things challenging for them, it also allowed her to “have some time to myself and ease into a new relationship,” a pace she appreciated after her first marriage had ended. Since their engagement, Zac has started working locally at BWXT with Brittany’s father, making it much easier to spend time together. Following their honeymoon to the Bahamas, Brittany says they’re looking forward to continuing life as an official family of four. Brittany’s Bride of the Year photo shoot brought together a range of talented local vendors at Old City Cemetery (OCC). If that seems like an unlikely venue, think again. “Once people actually visit [here], they see it is a beautiful, public garden teeming with life,” says Ted Delaney, Executive Director of OCC. For Brittany’s makeup, Chantay Salido, owner and lead artist of In Your Face Makeup Art, decided to “create a classic, elegant look” for Brittany and did this by focusing on her eyes and creating a dramatic lip, even mixing two shades together to find the “perfect deep red,” which Brittany loved. Brittany’s hair was styled by Jessica Comiskey Hair Design with a focus on “soft elegance” while also prioritizing a neutral and versatile look. 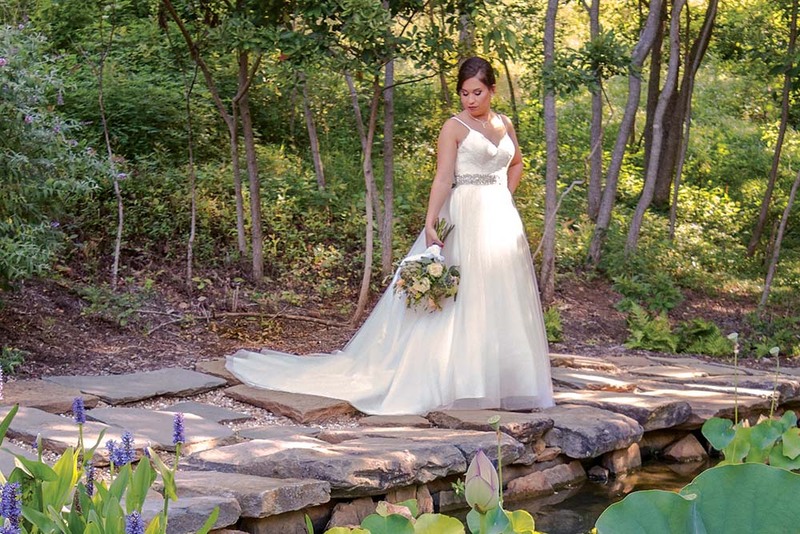 Brittany carried a bouquet from bloom by Doyle’s and was photographed by Laura Bryan Photography in early August.